Want to experience some top-notch angling in a beautiful location that’s quickly becoming famed for its fabulous fishing grounds? Look no further than the bountiful lakes and rivers of La Paz, Buenos Aires. Fishing in Buenos Aires is a first-class, highly-experienced charter that can’t wait to have you onboard and introduce you to these waters. 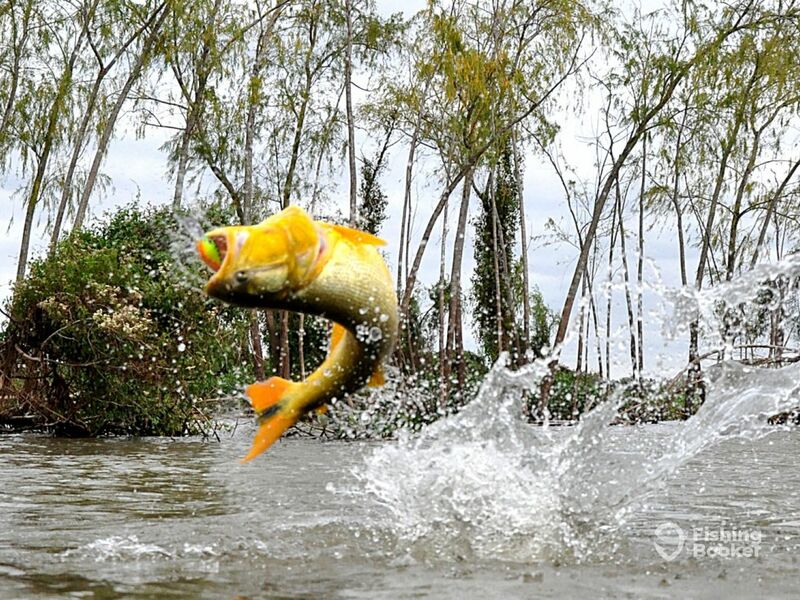 Get ready to reel in the Golden Dorado of your dreams! 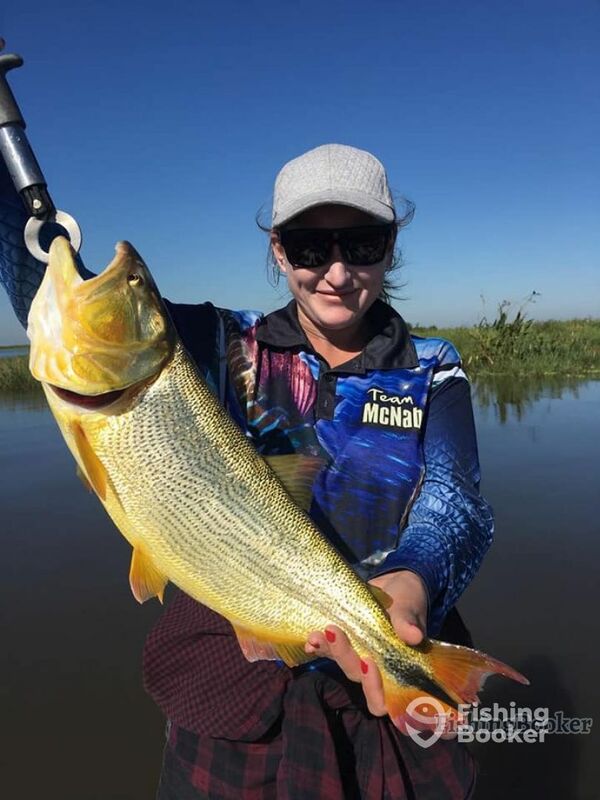 Fishing in Buenos Aires works with local captains who have been fishing these waters their entires lives, so if you’re looking to add some local flair to your vacation, then you’ve come to the right place. 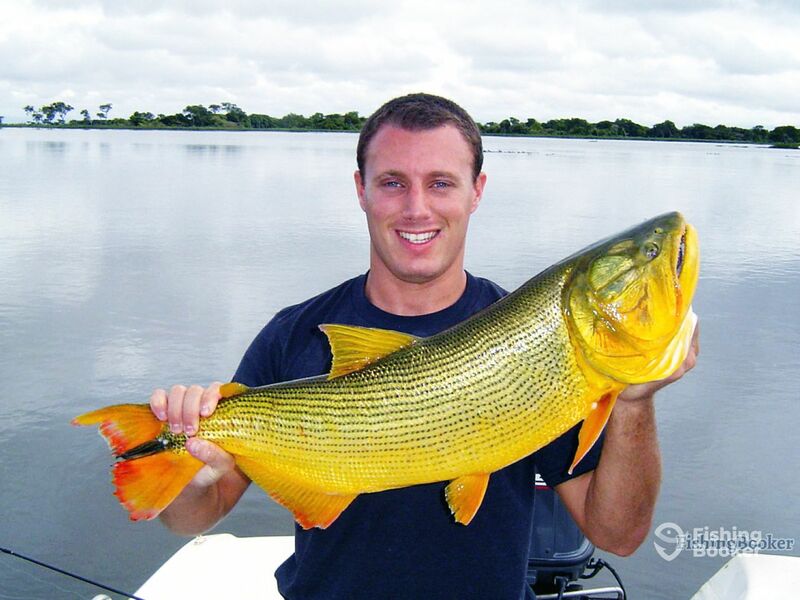 These captains are highly experienced anglers who specialize in light tackle and fly-fishing for Golden Dorado—they’ll take you on an unforgettable adventure that is designed to maximize your enjoyment of battling this incredible fighting fish! You’ll be cruising the local lakes and rivers in a 20’ Carolina Skiff vessel. Her size makes her perfect for exploring these waters, and she can accommodate 5 anglers. Onboard, you’ll find all of the necessary navigational and safety equipment to ensure that you have a smooth and comfortable ride out to the hottest fishing grounds. You’ll also be treated to a full lodging experience, which allows you plenty of time on the water to battle hard-fighting Golden Dorado! 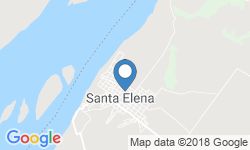 Your lodging includes breakfast and lunch, and evenings are left free so that you can relax or explore the local area. 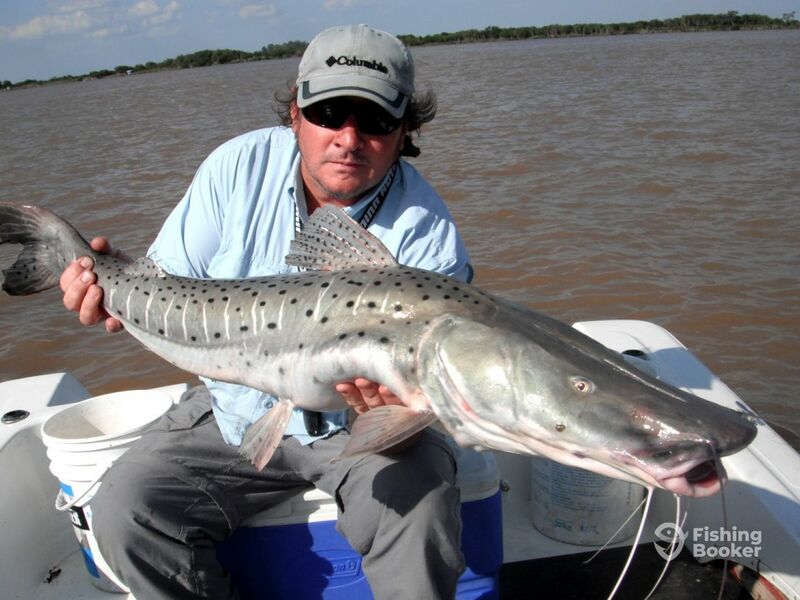 Fishing in Buenos Aires pride themselves on customizing their trips to fully fit the wants and needs of their guests, so please feel free to contact them to discuss lodging and trip duration details further! 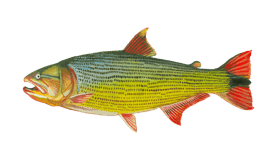 Your trip will include top-notch rods and reels, equipped with light tackle, spinning gear, and even fly fishing gear. 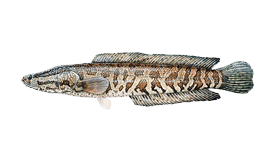 Your captain will offer tips on how to best fish each area, as well as which lure, fly, or live bait presentation should work best for the fishing grounds. 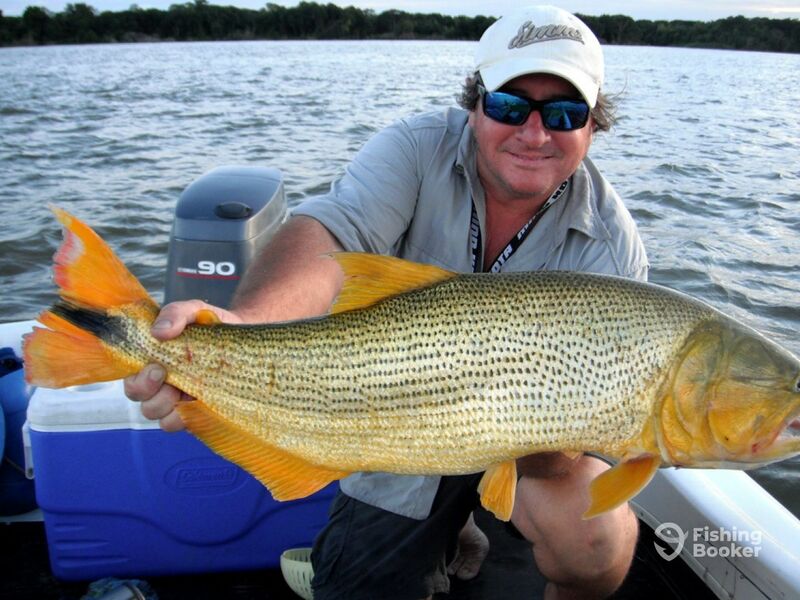 Come aboard Fishing in Buenos Aires and get ready to reel ‘em in! 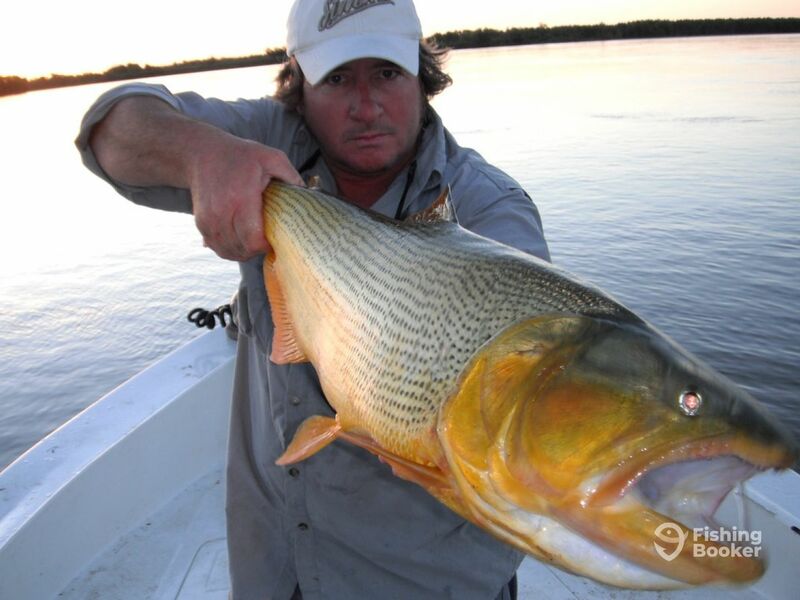 What could be better than spending 3 days at sea, on the hunt for the famous Golden Dorado in beautiful Buenos Aires? Your guide will meet you at your hotel and discuss your itinerary for the trip with you before escorting you to your vessel. 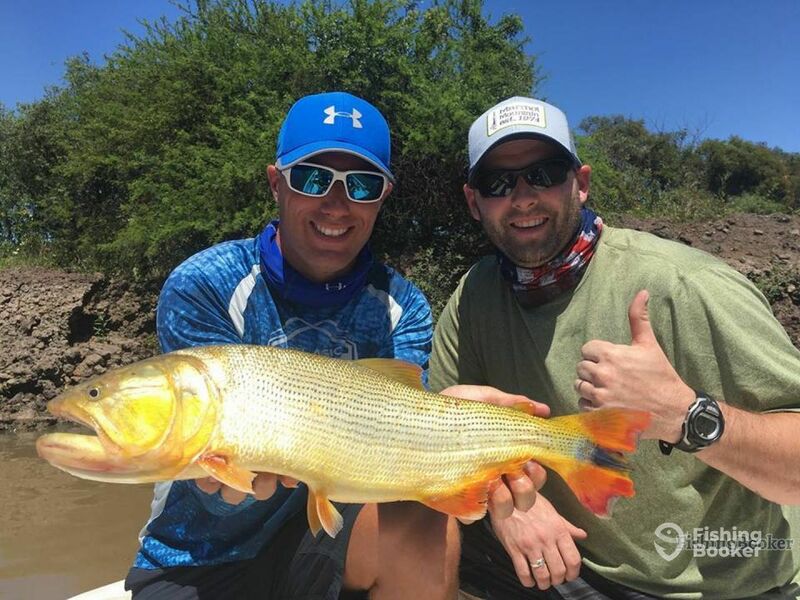 Your trip includes first-class, comfortable lodging, breakfast and lunch, and, of course, top-notch rods and reels to help you reel in those Dorados! To discuss further details and the possibility of a longer or shorter trip, please get in touch with your captain. Carolina Skiff (Center console) построена в 2018. Мотор – 115HP Yamaha мотор.